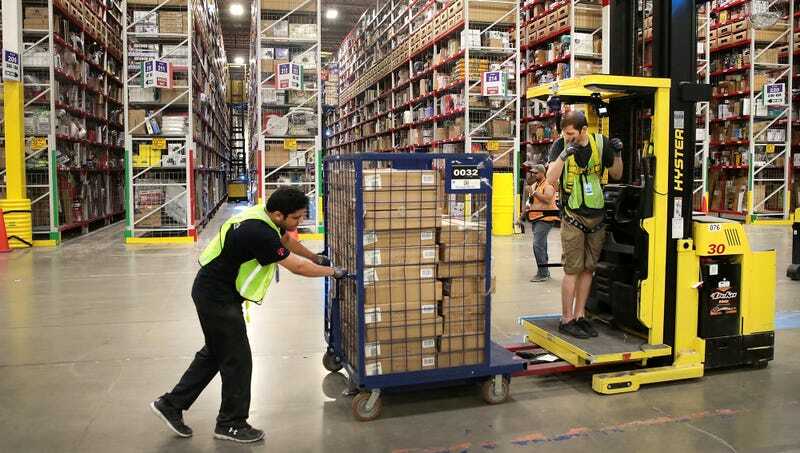 SEATTLE—Hours after the online retailer’s announcement that it would increase the minimum hourly pay rate to $15 for all its U.S. employees, Amazon confirmed Tuesday that paper towels sold on its website had surged to $2,000 per roll due to the crippling cost of paying workers a living wage. “Unfortunately, Amazon’s low payroll expenses were the only thing that kept the price of a three-pack of sponges under $75,000,” said Amazon CEO Jeff Bezos, who acknowledged that while increasing the price of every single product on the company’s site by more than a thousandfold was not ideal, there was simply no other way to pay employees an income necessary to meet basic needs. “Obviously, we’d love to offer competitive compensation that allows Amazon employees to afford food, clothing, shelter, and healthcare without the cost of a dozen fine-point pens skyrocketing from $12.79 to $17,500, but it just isn’t possible. There is no way to sell Transparent for less than $1.5 million per episode without crushing our growth.” The e-commerce giant went on to note that it could no longer afford to offer shipping, and all customers would now be required to pick up their orders in person at an Amazon fulfillment center in Kenosha, WI.